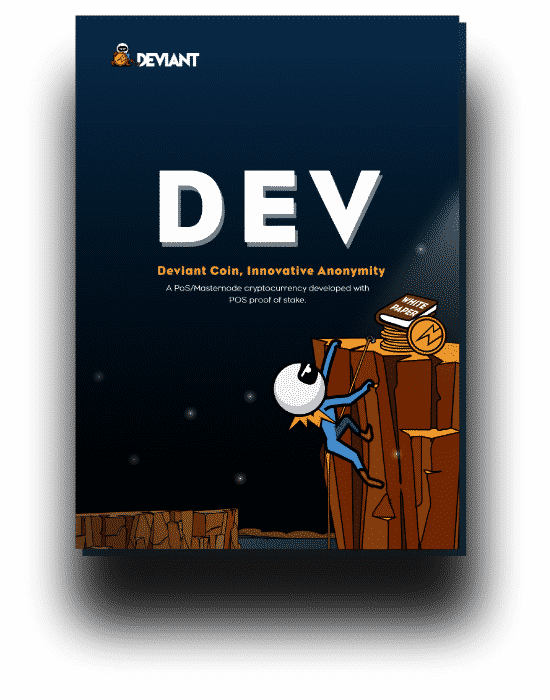 The Deviant Coin is a well decentralized network of Masternodes without superfluous control and intermediaries/gatekeepers with more than 90% pure PoS Block reward phase and ensures lightning fast and secure transaction, multi-wallets, encrypted messaging, stealth address for complete anonymity, low number of confirmations, low fees and limited number of total coin supply for faster increase of value. We help you in maintaining network and keeping everyone fair. Our Vision includes a fully decentralized hardware wallet that works on the same platform. This adds to the security of the platform by enabling hash keys to secure your web access with additional 2-Factor Authentication. Since the Master nodes are constantly connected to the network & perform certain tasks, this allows the coin to achieve faster and more private transactions. In this world of a plethora of digital tokens, we provide a decentralized wallet to access all of your funds at one place. Our goals for the future can be seen from our Roadmap section of our website. The roadmap will enable our users to understand the projects we are currently working on and also the ones already executed. Developing various payments gateways to make it efficient. Redesigning our website to make it easier and more adaptable for you. Web wallet and IOS wallet releases are a work in progress along with decentralized exchange mediums. 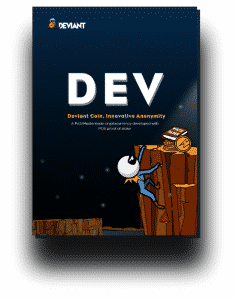 Discover the fantastic book about DeviantCoin (DEV). Before finishing it, you will fall in love with DEV! opportunity to keep track of your funds. Our technical whitepaper has been released! This will cover our main product which is the hybrid Decentralized exchange which will couple with our own Hardware wallet to provide 3fa (Three-factor-authentication). This is a first by the Crypto scene and will revolutionize privacy for the community ahead!